Wendy Lamb Books, 9780385744041, 352pp. In this fast-paced, exhilarating sequel to the acclaimed The Islands at the End of the World, Leilani and her family on the Big Island of Hawai’i face the challenge of survival in the world of the Emerald Orchid, a green presence that appeared in the sky after a global blackout. As the Hawaiian Islands go back to traditional ways of living, people must grow their own food and ration everything from gas to bullets. Medicine is scarce; a simple infection can mean death. Old tensions and new enemies emerge. 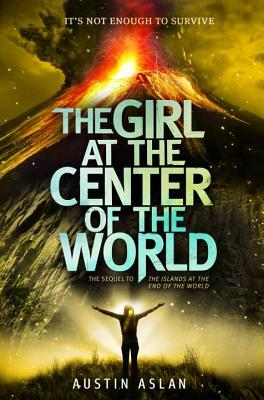 And one girl, Leilani, is poised to save her world. Austin Aslan was inspired to write The Islands at the End of the World and The Girl at the Center of the World while living with his wife and two children on the Big Island of Hawai'i, where he earned a masters degree in tropical conservation biology at the University of Hawai'i at Hilo. A National Science Foundation Graduate Research Fellow, he can often be found exploring the wilds of northern Arizona and camping in a tent on a punctured air mattress. In other lives, Austin drove ambulances way too fast, served as an ecotourism Peace Corps Volunteer in a Honduran cloud forest, and managed a variety of local, state, and federal issue campaigns. Austin loves to travel widely, photograph nature, and laugh. Follow him on Twitter at @Laustinspace.